Have you ever really paid attention to the different feelings that certain people give you when you first meet them? It’s always good to give people the benefit of the doubt and treat everyone with kindness, but every now and then we run across a person who rubs us the wrong way or gives off an initial vibe that’s less than pleasant, and it has a lot to do with how authentic we perceive them to be. Authenticity in fellow humans is something we naturally seek out because interacting with people who are fake or hiding their true selves isn’t fun. We often don’t know what to say to them because their phoniness makes us uncertain about them. So, we typically just avoid people like that altogether. But, what exactly is it about authenticity that makes it so important? Authenticity is often viewed as a person’s ability to act, speak and behave in ways that are in line with their beliefs, opinions and passions, but it actually goes a bit further than that. Inauthentic people are just as capable as authentic people when it comes to holding strong convictions about what they believe in. They can be passionate and stand up for themselves and their ideas when necessary, so we must look past that to truly understand authenticity and what makes it so important. Psychologists have pinpointed a few characteristics and traits that are inherent to authentic people versus inauthentic people. These are traits that describe a person who is psychologically mature and functioning as a normal human should, versus one that is neither of those. 1) Authentic people are very realistic, can accept who they are and who others are, are thoughtful creatures, have a sense of humor that doesn’t attack others, can express their emotions openly, like to learn from their mistakes and understand the reasons behind why they do the things they do. 2) Inauthentic people tend to have unrealistic views of their reality, need other people to validate their lifestyles, judge others harshly, have trouble thinking with clarity, have a sense of humor that degrades others, do not like learning from their mistakes and rarely understand the true reasons for their actions and behaviors. As you can see, we have good reason to avoid people who are largely inauthentic. They live a defensive lifestyle that is actively trying to portray a person who they are not. Regardless of how passionate and headstrong they are in certain areas of life, they are still trying to escape who they truly are. When we seek out authenticity in others, it’s because we’re looking for signs that this person is psychologically mature, stable and capable of functioning on a normal human level. It tells us that this person is emotionally healthy and will not be toxic to our own lives. And that’s why authenticity is so important to us as human beings. Authenticity is a journey, a part of the spiritual maturation process. Many people just aren’t there yet. They want to find their inner voice and speak their truth but generally their expression is blocked. Authenticity is an energetic. We should not avoid those who simply haven’t reached this milestone yet… There are plenty of wonderful people who have yet to mature into their full being. Let’s support them. My opinion on authenticity goes beyond what this article has mentioned and dips into different psychological profiles. The core reason we assess authenticity in another is related to safety on multiple levels. When we are gauging authenticity in another, we are feeling out the nature of another person’s motivations. The longer we are around someone and the more critical the relationship, the more this practice applies. It is absolutely critical to be able to trust our own intuition in order for this assessment to take place. Anybody on the dating scene or anyone hiring an employee needs to be able to do this and not second guess themselves in favor of someone else’s opinion. However, there are psychological profile types out there who are very good at hiding their true nature intentionally and even professional profilers have a hard time picking up on their “tells”. The sociopathic liar and the narcissist have traits like these and every one of us, unless we live under a rock, are going to run into one. Too extensive to detail but i speak from experience. You need to go through healing after you get away from someone like that. This is different from the simply immature individual who doesn’t self reflect to understand their own behavior. 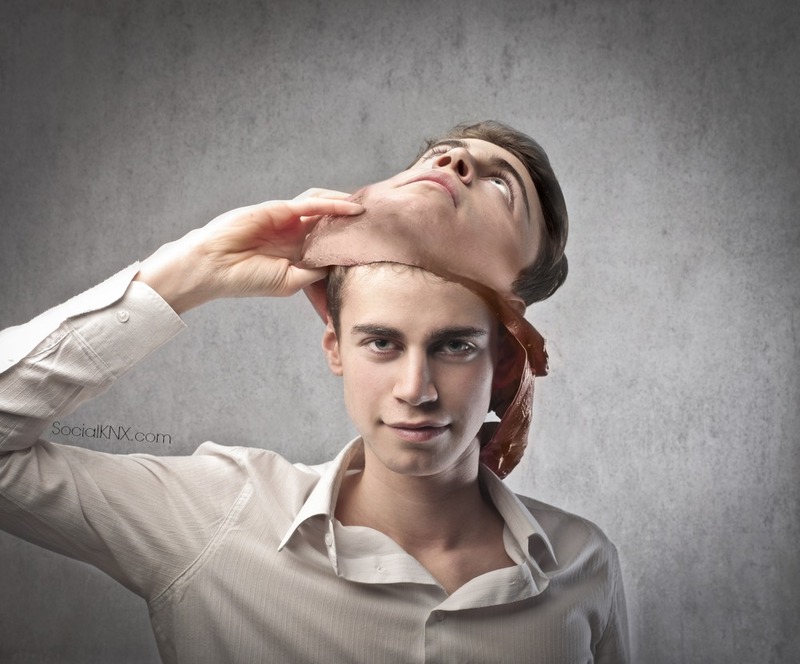 When a target of the sociopath or narcissist begins to see below the surface appearance of these people then for all practical purposes the authentic self begins to be revealed. But i don’t believe in playing that Beauty and the Beast game. Don’t stick around for it.